Designed specifically for the floor restoration professional, these diamond impregnated resin discs are a full 10mm thick and are mounted on a rigid base. 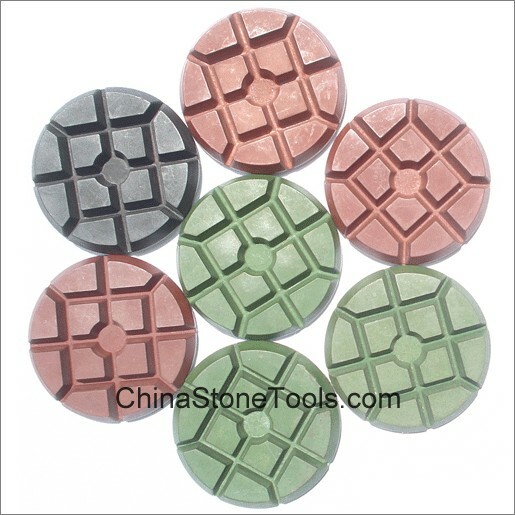 The thickness and composition of these discs provide extended life when used on marble, limestone, terrazzo, granite or even travertine floors. Also can be adapted to fit any floor machine and will deliver a consistent, glossy finish under adverse operating conditions. 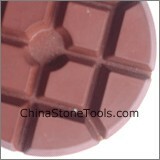 Diamond Floor Polishing Pads used for floor polishing machines to polish and shine granite or marble surface.